To provide educational, emotional, physical and spiritual assistance, family support and purpose to homeless families who are desperate and displaced, while lifting up Jesus Christ and His love toward all people, providing outreach ministries and enabling families within an urban community to achieve self-sufficiency and restore their lives. The staff and board at Restoration Urban Ministries hold these five Core Values in highest honor. Together, we choose to pursue these ideals through our commitments, our behaviors, and our attitudes. We value Compassion and we are deeply aware of and greatly moved by the sufferings and challenges of others — we strive to respond with sympathetic and caring hearts and actions to restore lives and families. We value Diversity and we treat anyone and everyone with true dignity, while capitalizing on the breadth and wealth of viewpoints, backgrounds, gifts, and experiences — acknowledging that all contributions are valuable and are to be respected. We value Grace, and we choose to confer mercy, honor, pardon and favor upon others in their lives, as well as to receive God’s divine grace and mercy in and through Jesus Christ. We value Love, and as a family of a loving God, we strive to love all people and so demonstrate our loving God, while also showing this love for each other. We value Spirituality and we faithfully, joyfully, and prayerfully seek to respond to God’s calling and direction and to place Jesus Christ and his kingdom at the center of our lives. At Restoration Urban Ministries, residents are spiritually guided. Residents are required to attend morning devotions and attend a church service on weekends. Additionally, residents are encouraged to participate in weekly Bible studies and to find a place to serve in Restoration Church. Each participant is paired with a spiritual mentor who prays with him/her and provides spiritual guidance. 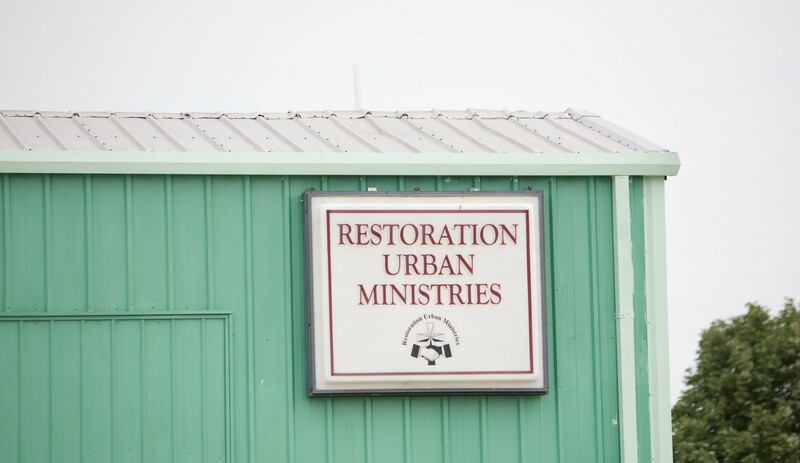 Restoration Urban Ministries was founded in 1993 by Pastor Ervin Williams and a handful of caring individuals in the Champaign-Urbana community. The organization began with community-based programs, including a food and clothing pantry. Before long many of the individuals receiving services expressed a need for safe housing. In 1997, Restoration acquired an older motel adjacent to their existing facility and shortly thereafter, the organization’s transitional housing program was launched. Today, applicants are accepted for the self-sufficiency program and are required to attend classes and receive counseling in job skills and training, financial management, budgeting, life-coping skills, discipleship, word power, food preparation and nutrition, and smoking cessation/recovery. These classes and counseling services are offered in partnership with many area businesses and agencies. For those applicants who adhere to these program requirements, they are provided housing for up to eleven months. In 2004, a 10,000 square foot warehouse also adjacent to R.U.M.’s growing facilities became available. The space was acquired and renovated into a worship center, classrooms, child care facility, office space, and a large community kitchen. Since 1993, Restoration has helped to lead over 5,000 individuals towards self-sufficiency, employment, and off-campus housing with over 75% success rate. R.U.M. is one of the region’s non-profit organizations with the highest impact on the homeless population.